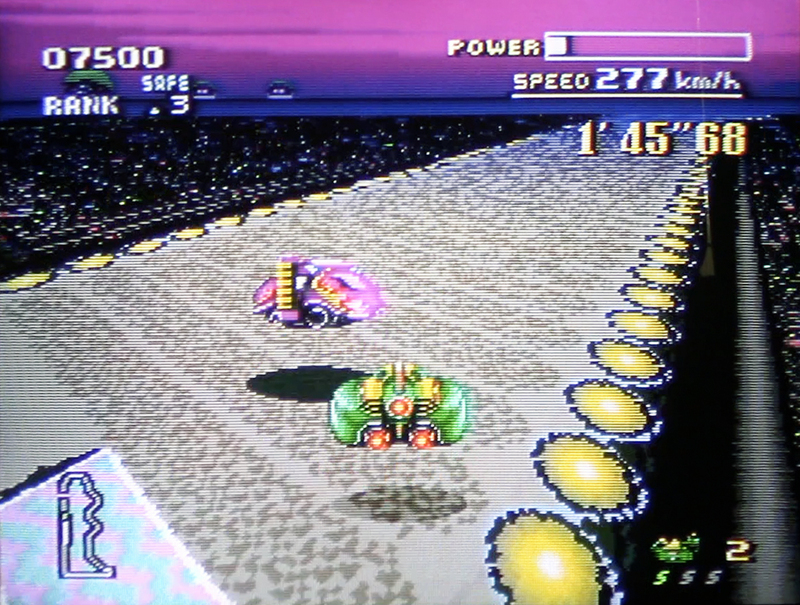 Today we hit the circuit of F-Zero for the Super Nintendo (SNES). 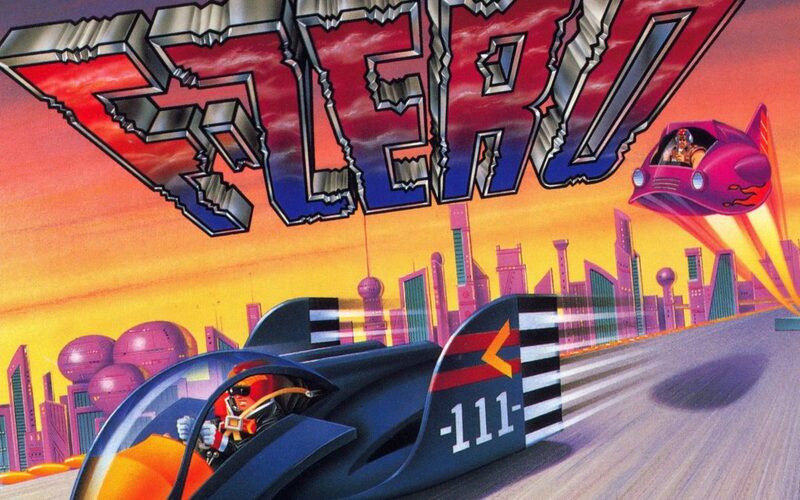 I never played F-Zero for long back in the day. I played for a few minutes at a friends house but that was about it. It’s been staring at me from the top of my SNES cart stack for a while now and I decided to give it a go. 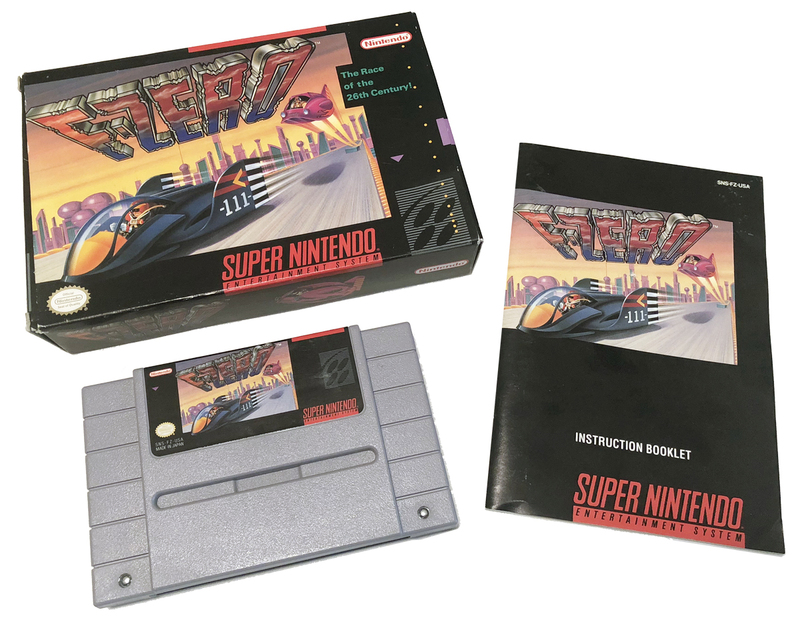 F-Zero was a launch title for the Super Nintendo and I remember it being praised for it’s Mode-7 display. Mode-7, if you are unaware, is one of the 7 Modes that the Super Nintendo can use for displaying games. Each mode allows for various background and sprite configurations when developers create a game. Mode-7, the most hyped mode at the time, basically allowed for a 3-D like plane to be created (in this case, the race track), which can be rotated and have perspective applied to. PilotWings made good use of Mode-7 as a launch title also. 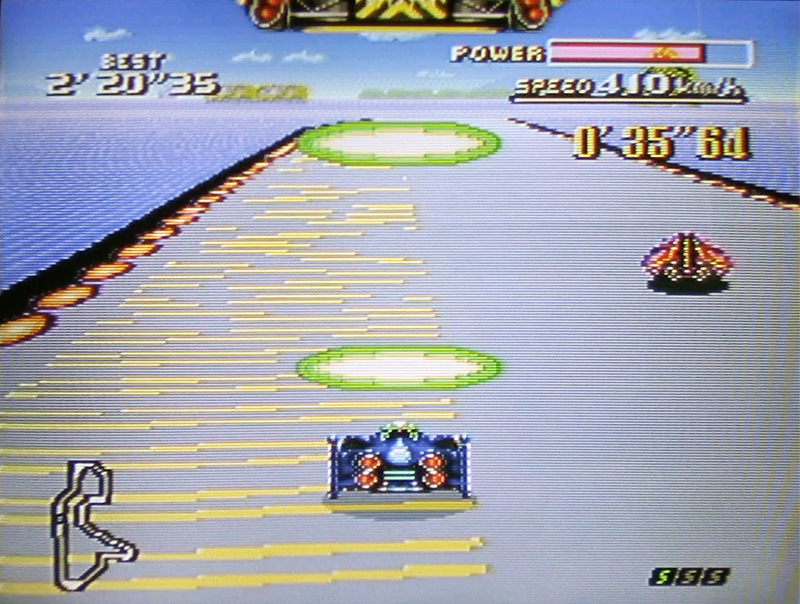 F-Zero was the first racing game to use Mode-7. Many others, including the original Mario Kart would follow. I’ve always enjoyed racing games be they futuristic or realistic so let’s jump into this one! In the latter half of the 20th century, Mankind was gripped by the fear of being invaded by extraterrestrials. They referred to extraterrestrial spacecraft as UFO’s (Unidentified Flying Objects). Now, to those of us in this day and age, this sounds like a fairy tale. It is now the year 2560, and due to the human race’s countless encounters with alien life forms throughout the Universe, Earth’s social framework has expanded to cosmic proportions. Now, trade, technology transfer and cultural interchange are carried out on an interplanetary basis. These racing circuits were located as high up as 300 feet above the ground and held in place by anti-gravitational guide beams on both sides of the course. The racing machines developed for this tracks used the very latest in super-magnetic technology and were designed to travel without wheels, hovering one foot above the course track. In a very short time, people came to call this Grand Prix simply. 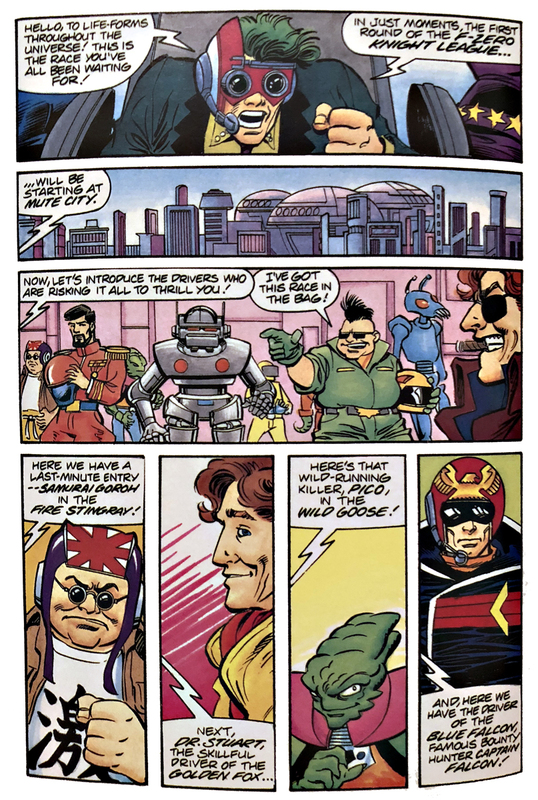 “F-ZERO”. Wow – a lot has changed in 500 years! 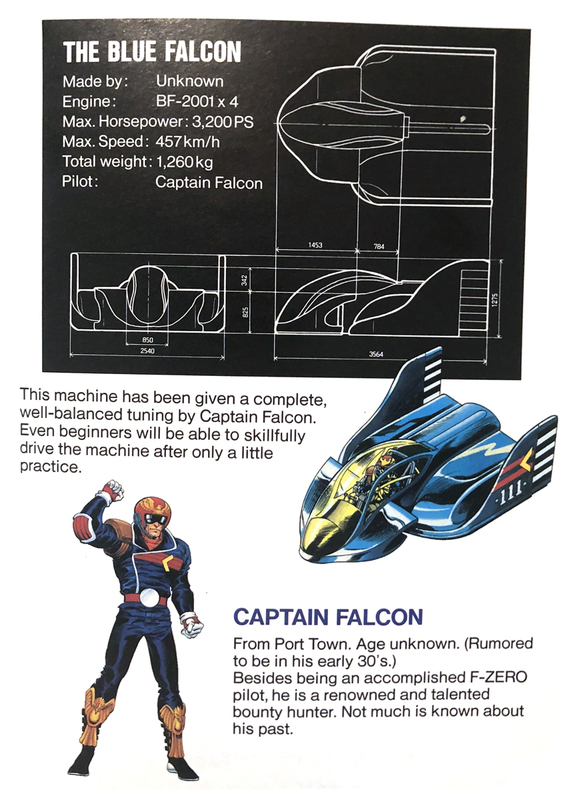 In F-Zero you pilot one of four hovercraft on one of 15 different circuits on 9 different planets. You will race against the three other hovercraft you didn’t choose, and a slew of other generic NPC craft. You start by selecting your hovercraft. Each one has different strengths and weaknesses in 4 categories; Top Speed. Acceleration, Durability (hit points), Turn Rate. 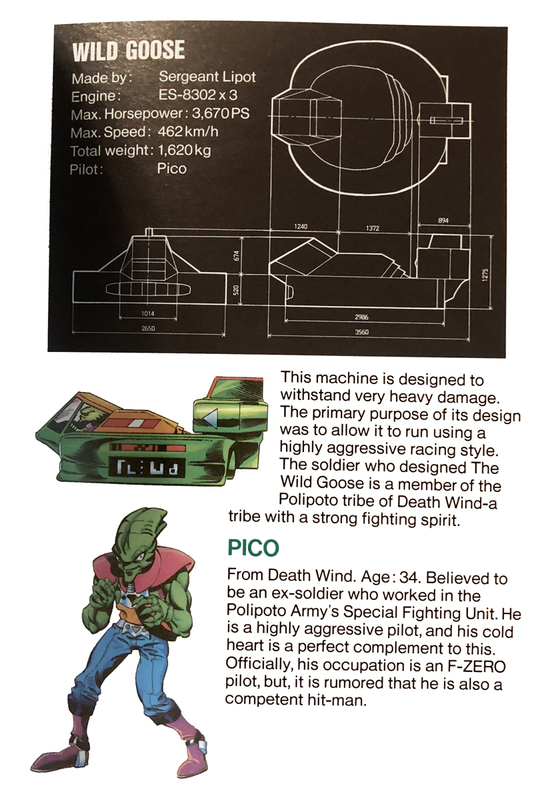 The Wild Goose – High durability, low acceleration, high top speed. 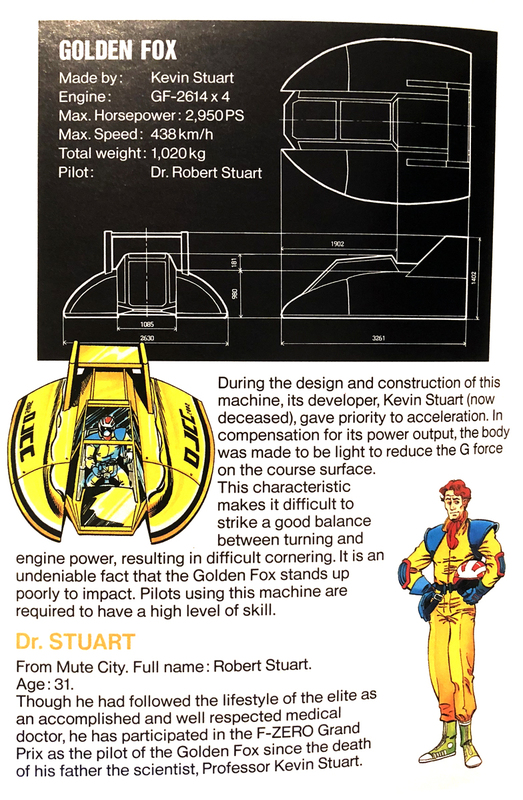 The Golden Fox – Very weak, lower top speed, highest acceleration. Next you select a League to race in, with each one increasing the track difficulty. You have four options; Practice (which is actually selected from the main menu), Knight League, Queen League and King League. Each league consists of five races. These races will take place one of the 9 planet tracks. Many of the planets have variations in the track. They may have a section that is blocked off and only opened up in other leagues or add dangers and/or obstacles to the track. 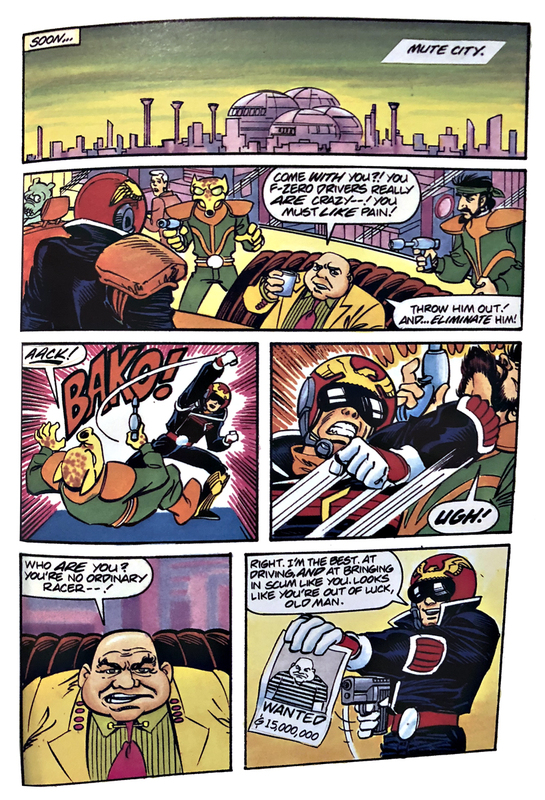 For example, Mute City is one of the locations and it has 3 variations of the track; Mute City 1 (on Knight League). Mute City 2 (on Queen League) and Mute City 3 (on King League). After selecting your League you select the difficulty of the other drivers. Beginner, Standard or Expert. I like this because you can select a more difficult group of tracks, but put the slower racers out there with you. And then you’re off to the races. When the race begins you are at the start line with the three other cars. one you get going, other generic cars are also on the track. Each race consists of 5 laps. For you to continue racing, even onto the next lap of the current race, you must maintain a minimum “safe” position. The safe position is shown next to your current rank (position). One the first lap it will be 15th place (which you should have no problem staying above unless you just sit still). After each lap the number goes down until you reach the final lap which you must match or beat to progress to the next race. Lap one has a safe position of 15, then on lap 2 the number drops to 10, lap 3 it drops to 7, then 5, and 3 for the final lap. If you fail to meet the requirements “per lap”, you wont even be allowed to finish the race. The other selectable hovercraft are the only cars that show a rank or position number above them. The generic cars do not, but they will count against you if they pass you. You can gain position ranks by passing generic cars until you get to 4th. After you reach 4th position, generic cars will no longer lower your position rank, only the remaining “real” cars will count if you pass them. Each track starts out pretty normal with some mild obstructions like rough patches that will slow you down. On the harder leagues you will run into mine fields, magnetic traps, dash pads and more. You can lose one of your hovercraft in three different ways. Not finishing a lap or race in a safe position, blowing up on track and blowing up off track. While racing your car will take damage from hitting other cars, hitting the wall or hitting any of the various obstacles. The power meter at the top of the screen is basically your health bar. When it is empty, you explode. To blow up off the track you have to hit a jump pad, and not land back on the track, which means instant annihilation. 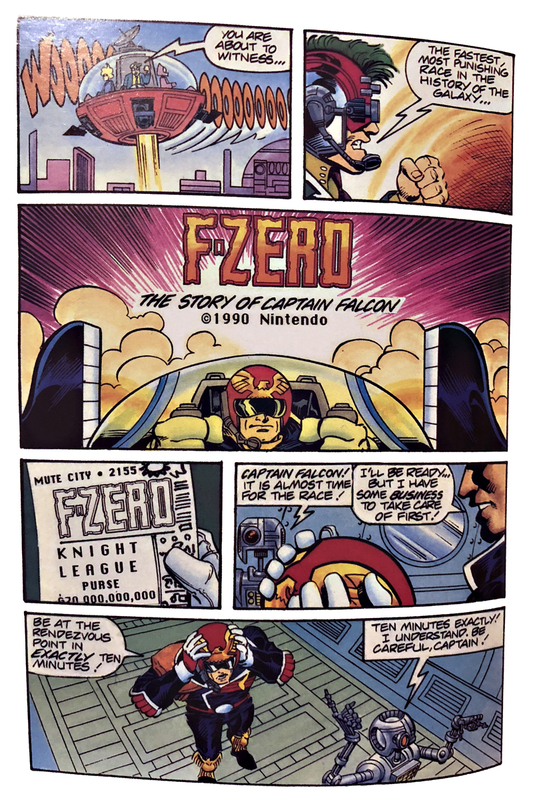 I like the gameplay set-up for F-Zero. You can pop the game in and play a session in 30 minutes or so. Having separate track difficulties and opponent difficulties gives you lots of way to approach the game and get better. The menu and interface are simple, clean and fast. 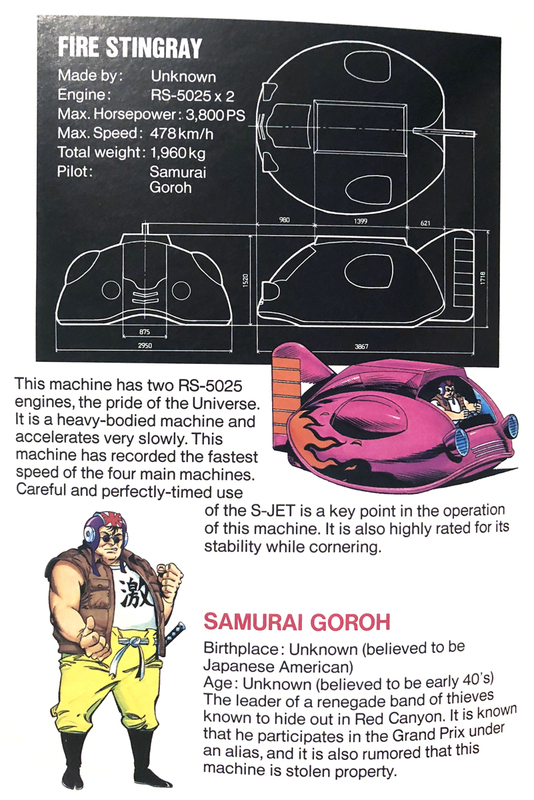 Your F-Zero Hovercraft is fairly easy to drive. The D-pad will move you left to right, the B button will accelerate and the A or Y button will apply the brake. The Left and Right shoulder buttons are like a rudder on an airplane, shifting you weight to one side to help cut around tight turns. On some tracks you will find jumps pads, some pads must be hit to jump missing sections of track. While in the air, pushing up or down on the D-pad will increase or decrease your jump distance. The controls for the game are tight and responsive. With practice you will easily be able to slice through a hair-pin or chicane. Passing cars is easy and fun. I did find that the weight shifting shoulder button technique was not as useful as I thought it would be. It can help you on some of the tightest of corners, but can also send you sliding into the rough. Just braking seemed more beneficial most of the time (but you never really want to slow down). The only real issue I have with controls are that you all but loose them when the hovercraft goes into pinball mode. Mainly on the thinner tracks with a series of tight turns, you can hit a wall or car and just start bouncing around all over the place, like a pinball. It can cost you a race pretty easy. 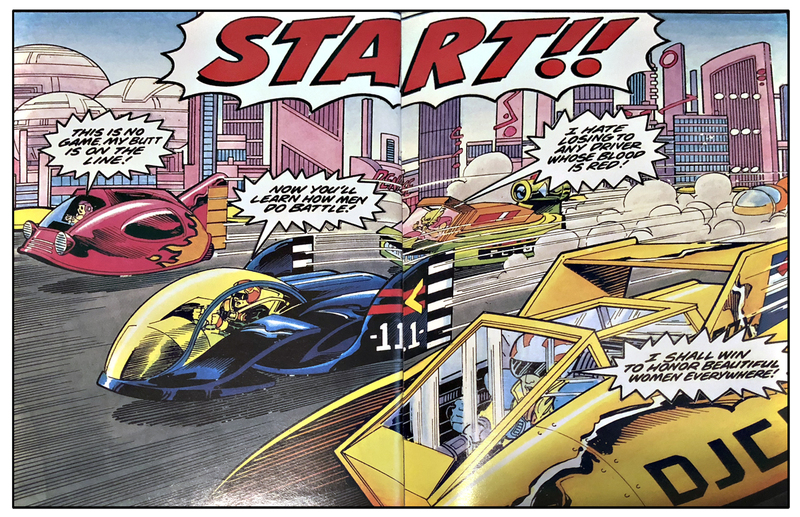 F-Zero looks amazing. I had seen it before but never got to sit down and stare at it for hours. On my 38″ Sony Tinitron CRT it is very impressive to look at. 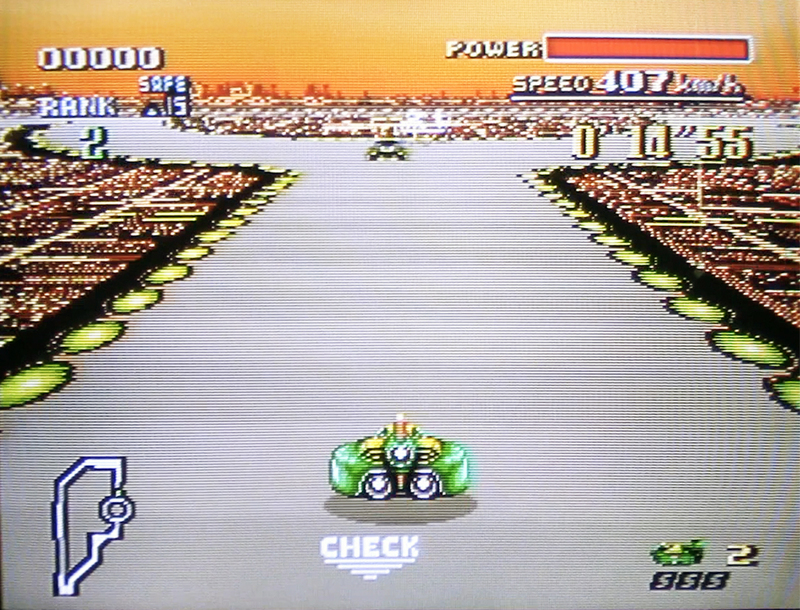 The first thing that jumps out at you is the smooth frame rate of the track. This baby is running at 60 FPS (frames per second) and it shows. Mode 7 is on full display here. Your entire view is basically one big Mode 7 plane. The tracks can be quite large. 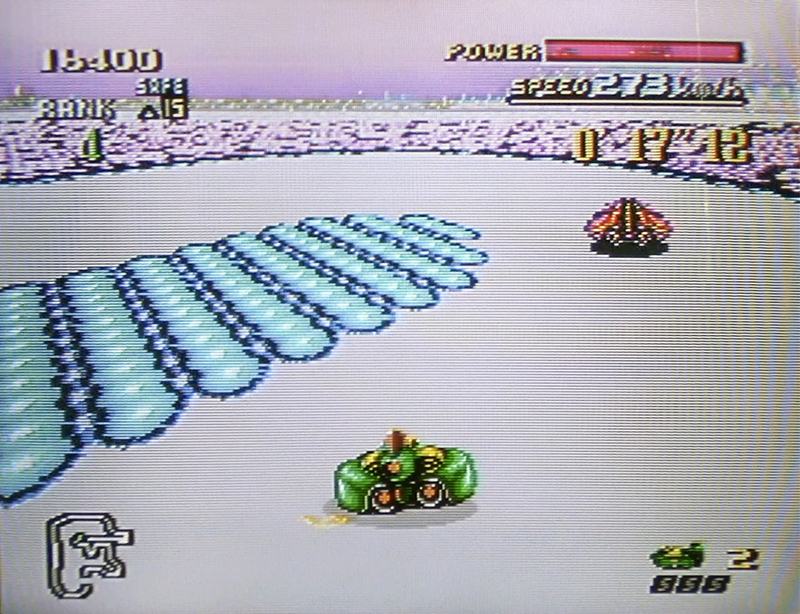 The drawn-in distance can be seen, but is far enough away that it blends in well with the background and is never an issue when racing. You will see a curve in plenty of time to adjust for it. Each track also has animation applied to the ground, outside of the track itself. Sand dunes moving in the wind or electronic signals shooting around. Once you are moving at 400 MPH you don’t see any of this, but it’s still a nice touch. Each of the hovercraft also look nice. 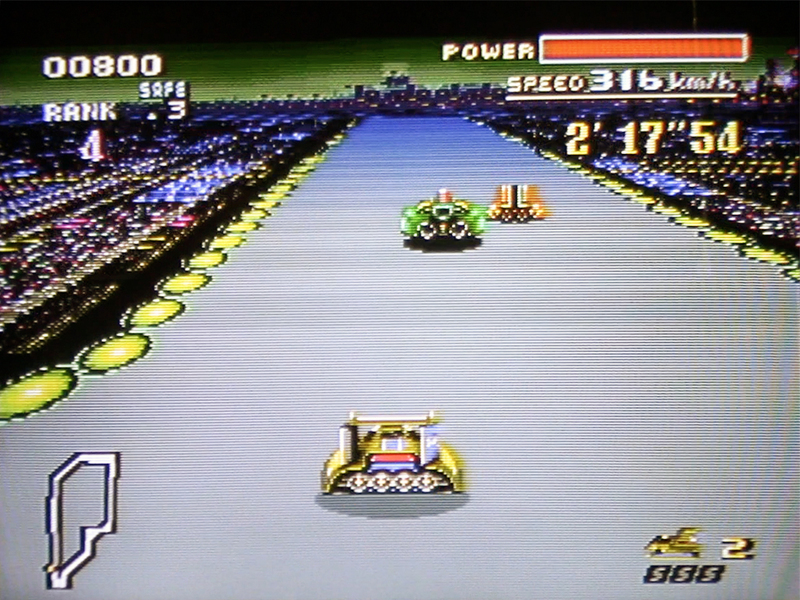 Nintendo didn’t use scaling to adjust the size of the cars but instead has a different sprite. Each craft is rendered from several different angles, with even slight angle changes being represented. This makes for a fairly smooth animation on the vehicles from any angle. There are no track side objects like signs or building, so it does appear a bit flat compared to some other racers. Outside of that though, this game looks good for it’s time. 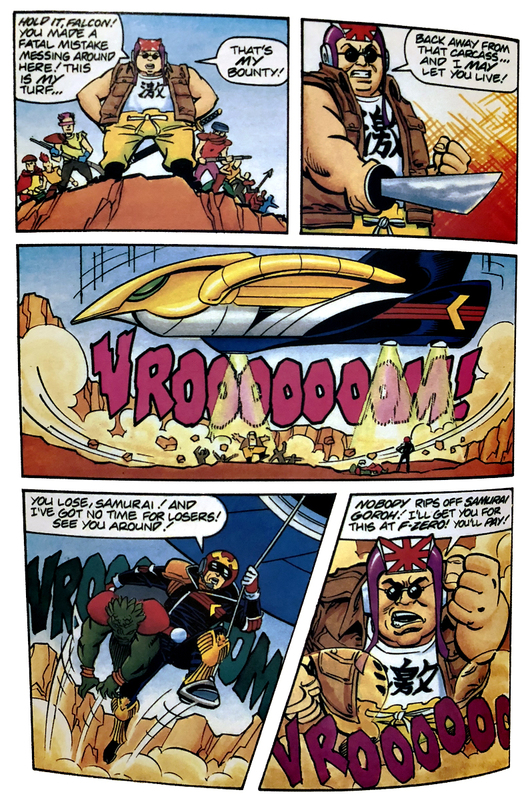 The music for F-Zero is good. It’s not the most memorable soundtrack you’ll hear, but it’s not distracting or overly repetitive. 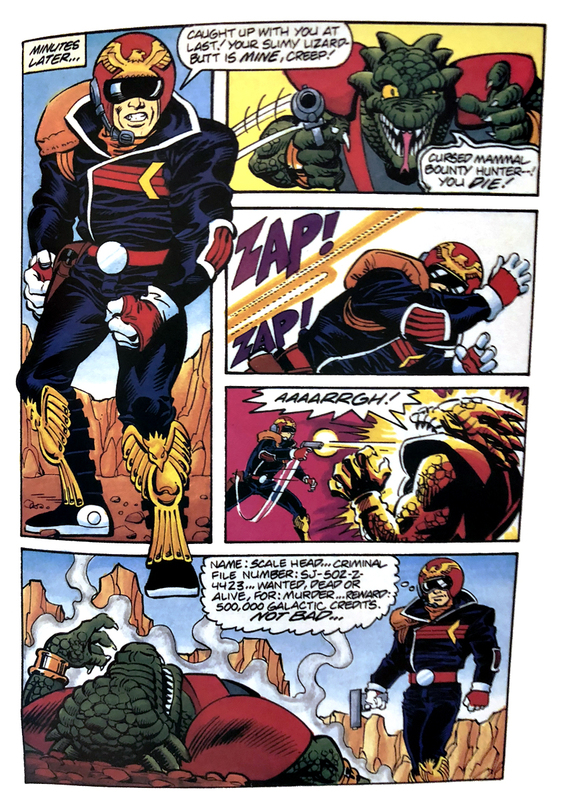 The sound effects are nice also. The hovercraft sounds are cool and each car can be heard in stereo when you pass them or when they’re coming up behind you. Outside of the rumble strips on the side of the track and other hazards, there’s not many sound effects required. 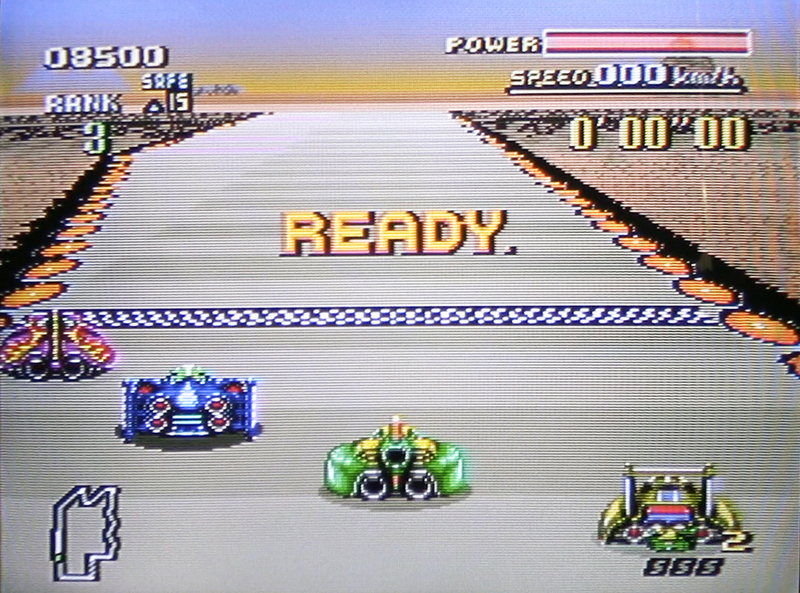 F-Zero is easy to play, but can be quite challenging on the later levels and harder leagues. You can master the tracks on the easiest difficulty, then crank up the competition level to Expert for the real challenge. Beat that and you will unlock a Master difficulty. The 1st race in each League is a Mute City track. All three circuits on there are easy, and might give you a false sence of skill. Then on track two or three (any league) you’ll end up in a pinball machine on the last lap. That’s the only real frustrating thing about the game, but it can be mitigated with time and skill. The other hovercraft do have a rubber-band effect going on. You will never be able to lap the competition or even get a massive gap between 1st and 2nd. They are always fairly close and will pass you like butter at the first bad mistake. The practice Mode is a nice feature. 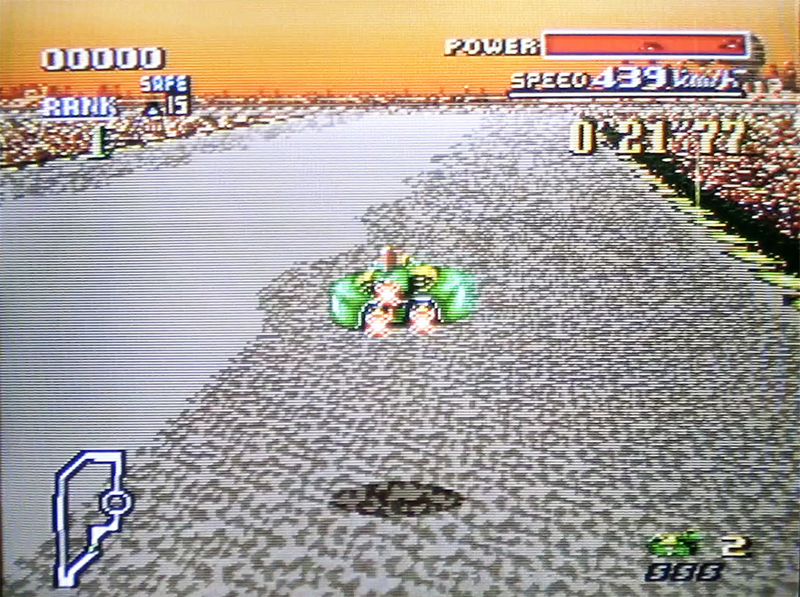 It lets you race against one other hovercraft, which you get to pick. The two of you are then placed on the track of your choice for a one on one. 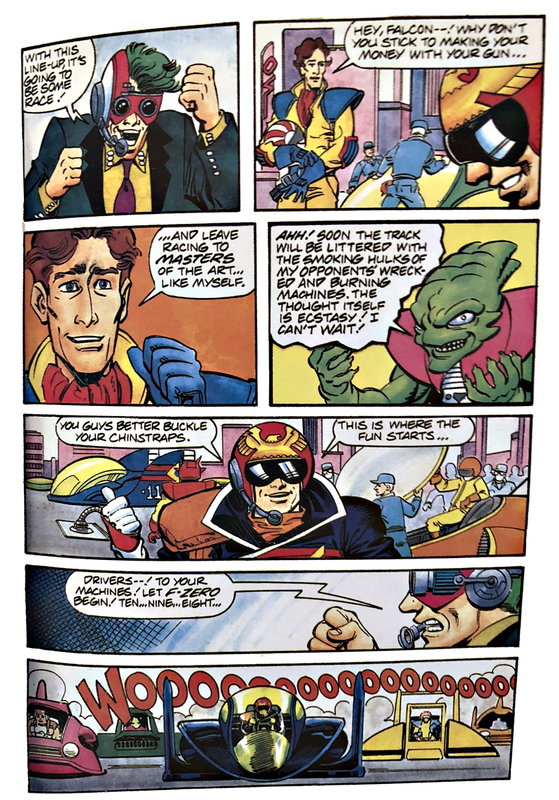 I like F-Zero. The frame rate impressed me along with the visuals, tight controls and genuine fun when you’ve got the last guy in your sites on the last lap. It is a good game that I would recommend to any racing fan. I would have liked to see more of the jumps used, It’a fun to leap over the track and other cars but it could have been used more. And, even with the 15 tracks and 4 cars, there’s not a whole lot going on for replay-ability. So while I did enjoy playing it, I chose not to go for a high-score run or even finish each League challenge. I know I could do it, but it didn’t grab me enough to put in the time. Maybe later, but not now. I’m giving the game 4 trogs out of 5.